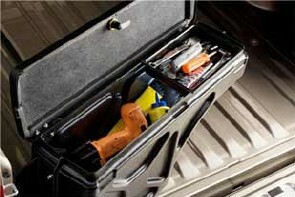 This tool box is a swinging, removable, portable utility case for trucks. 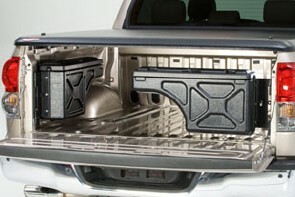 The Swing Case works with most tonneau covers; soft, hard, folding and rolling tonneau covers. 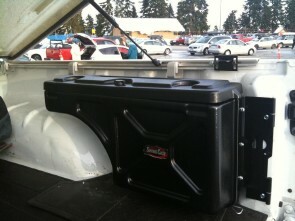 The Swing Case swings out to nearly 180-degress for easy tailgate access. The Swing Case, a versatile tool box that is very convenient and functional.